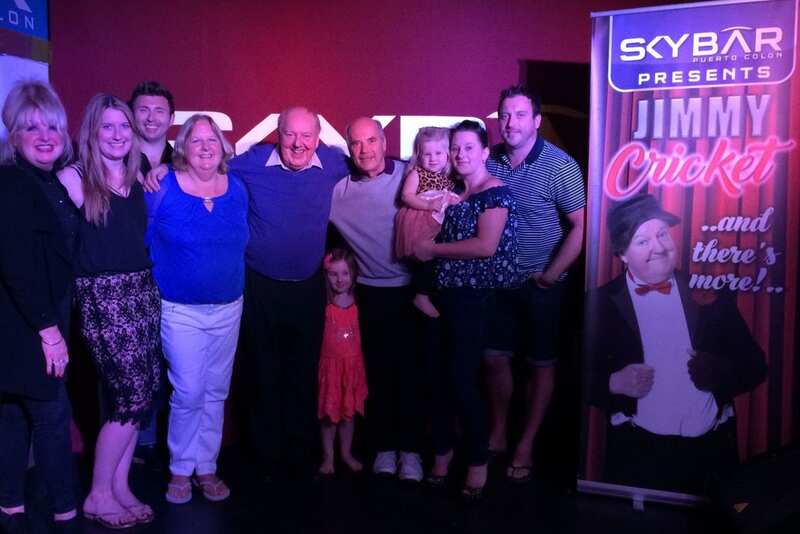 Tenerife trip turns into a family affair at Skybar! It was off to warmer climes for Jimmy Cricket at the start of the year, as he embarked on a trip to the Canary Islands. 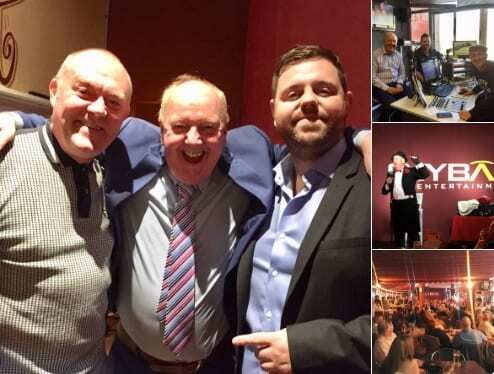 The visit had been in the pipeline for several months and was all down to Baz Hunter, the owner of Skybar in Tenerife who wanted to host the famous comedian at his venue (above). Jimmy’s trip was made all the more special as by sheer coincidence he also had family on the island holidaying at the same time. 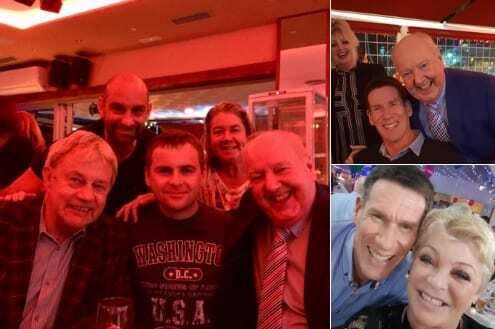 This included his wife May’s sister, Margaret, her husband, Graham, and her son and daughter and their spouses (all are pictured below), ensuring there was quite a party who came along to support Jimmy at the Skybar. This is not the only overseas trip for 71-year-old Jimmy during 2017, as in March he will be travelling over to appear at the Benidorm Palace in Spain. And in April he will be performing on Easter Saturday at the Wayside Cheer Hotel in Guernsey. 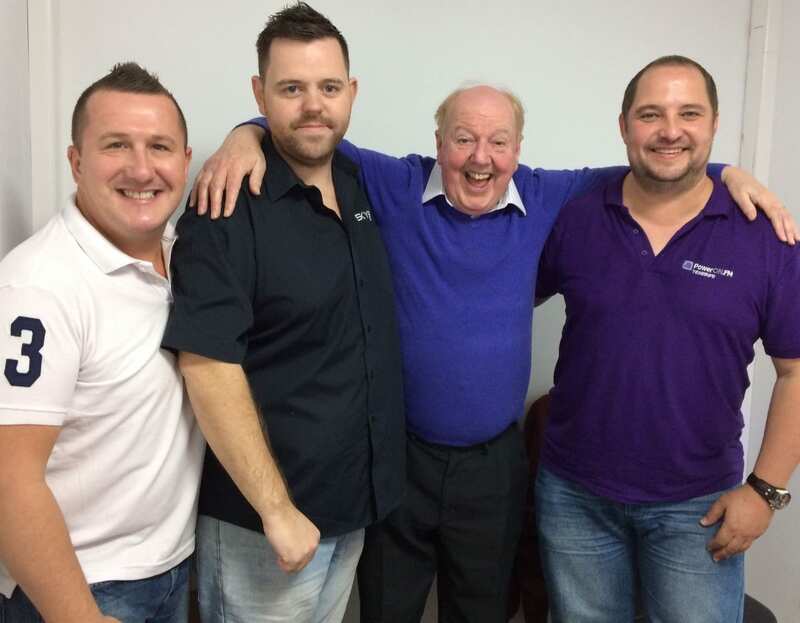 We may only be in the autumn of 2016, but famous comedian Jimmy Cricket already has some exciting plans lined up for next year. His schedule early in 2017 will include some overseas trips, which he says he is “especially looking forward to”. After concluding his pantomime commitments in Leeds city centre (he will be the special guest in a seasonal production of the classic fairytale, Snow White and the Seven Dwarfs at the White Rose Theatre), the 70-year-old entertainer will be in Tenerife at the start of the year. 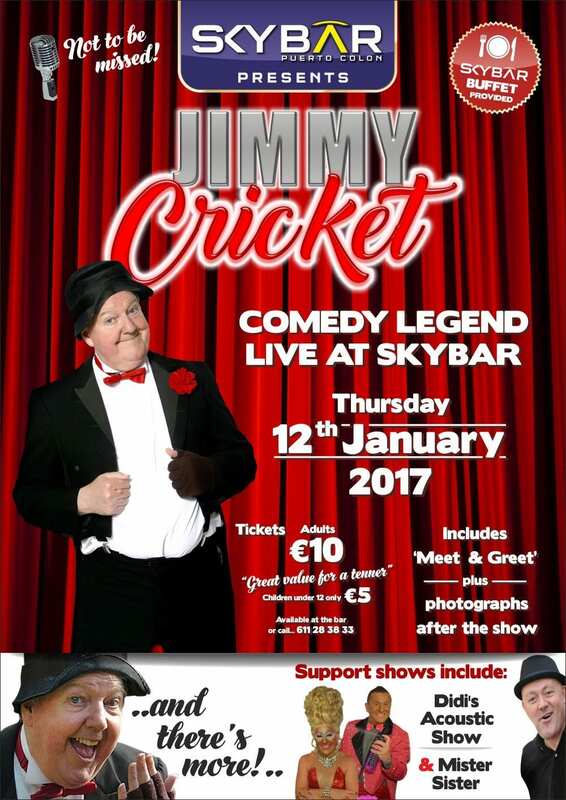 He flies off to the Canary Island where on Thursday 12 January he will appear at the SkyBar. Tickets are already mostly sold out, but for more information please visit here. Then at Easter, Jimmy will visit the Channel Islands and the beautiful location of Guernsey where he returns to the Wayside Cheer Hotel (above right). This is a venue owned by Jimmy’s friend, Ken Smith, and he has appeared there several times in the past, but it has been a few years since his last visit. Jimmy’s appearance will be on Easter Saturday (15 April). More information can be found at the Wayside Cheer Hotel website. And the Belfast-born comic will be returning to the world of cruise ships during the summer of 2017 when he stars in shows on an Irish-themed voyage for Cruise & Maritime Voyages. Jimmy’s on-board stay will be during their Scottish Highlands and Faroe Islands voyage scheduled for a week during July. For more information go to their website here. And he expects to be doing more overseas trips in the autumn of next year too, so continue to watch this space!